Amar'e Stoudemire has said his comment was meant to taken as a joke. FORMER NBA STAR Amar’e Stoudemire has apologised following a backlash over his comments that he would avoid a gay teammate. Stoudemire was roundly criticised after telling Israeli website Walla Sport he would “shower across the street” if he found out a teammate was gay. In a statement released late Wednesday, Stoudemire, 34, said his remarks had been meant as a joke. “I want to apologise for my offensive comments against the LGBT community,” Stoudemire said in a statement. “These remarks were taken from a larger interview where a reporter was asking me hypothetical questions, and all my answers had a comedic undertone. “The answers I gave were meant to be taken as jokes, and I am deeply sorry for offending anyone,” added Stoudemire, who spent 14 seasons in the NBA and is now playing in the Israeli Premier League. Former NBA player Jason Collins, the first openly gay athlete in any of North America’s four major professional sports leagues, expressed dismay at Stoudemire’s comments. “His homophobic comments have no place in sport or in our society,” Collins wrote on Twitter. British former NBA player John Amaechi, who is also openly gay, posted a scathing critique on Twitter. 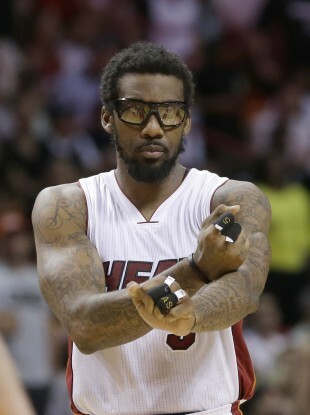 It is not the first time that Stoudemire has faced censure for homophobic comments. He was fined $50,000 in 2012 for using a homophobic slur against a fan. Email “Former NBA star apologises for saying he'd 'shower across the street' from gay team-mate”. Feedback on “Former NBA star apologises for saying he'd 'shower across the street' from gay team-mate”.